After its light-show drones made a big splash at last year's Super Bowl, the chipmaker decided to create even more of them. Intel drones even made their way into coachella, giving festival goers a fantastic lightshow during ODESZA's headline set. Expedition 3 Commander Frank Culbertson was aboard the International Space Station at the time of the attacks, and the only American on the crew. 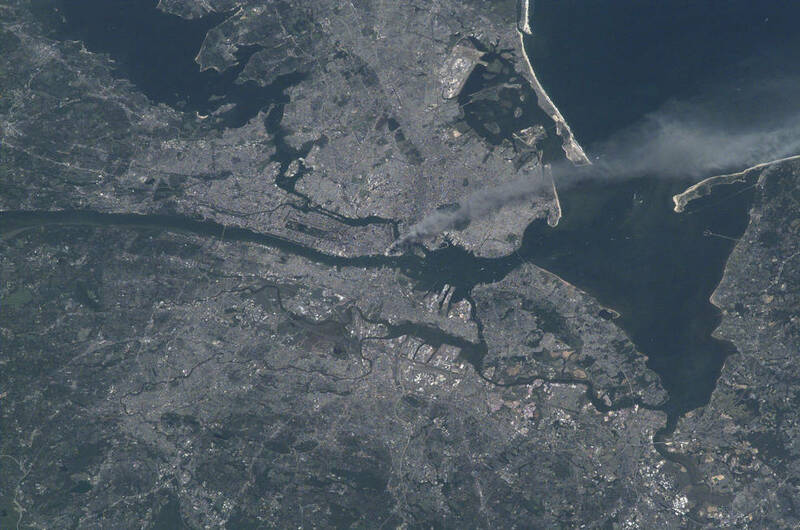 As soon as he learned of the attacks, he began documenting the event in photographs because the station was flying over the New York City area. He captured incredible images in the minutes and hours following the event. From his unique vantage point in space, he recorded his thoughts of the world changing beneath him. A 19 year old in Nova Scotia wanted to learn more about the provincial teachers' dispute, so he filed some Freedom of Information requests; he wasn't satisfied with the response so he decided to dig through other documents the province had released under open records laws to look for more, but couldn't find a search tool that was adequate to the job. He noticed that the URL for the response to his request ended with a long number, and by changing that number (by adding or subtracting from it), he could access other public documents published by the government in response to public requests.